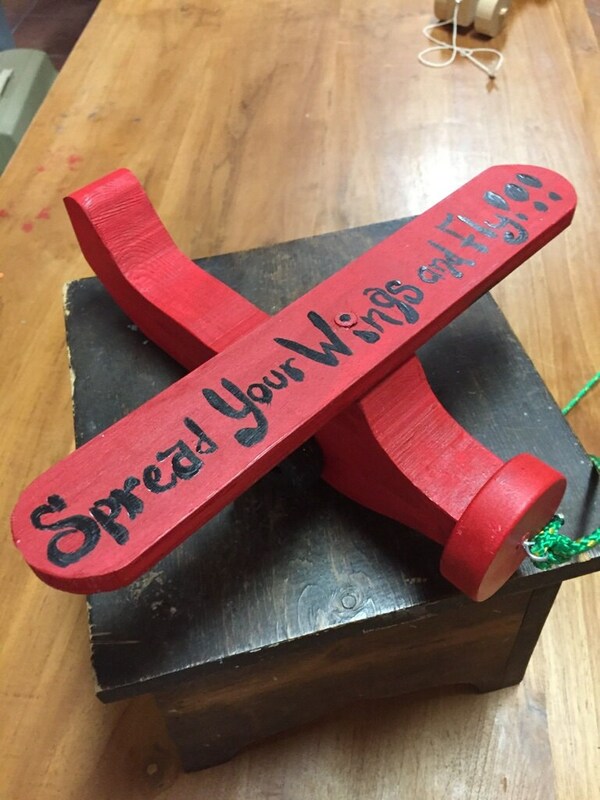 Spread Your Wings and Fly Red Wooden Truck by Stan Altman and hand painted by Carolyn Altman. "Spread Your Wings and Fly" is painted in black across the wings, but can be substituted with your child's name. This can be used as a pull toy or to push around as any little boy would love to do. The plane is a Christmas red. It is approximately 15 inches long, 6 inches tall and 2 inches thick plus the wheels. Made Stan Altman and sold exclusively through Carolyn Altman Art/Glory Bee Baby. Made Stan Altman and sold exclusively through Carolyn Altman Art/Glory Bee Baby.